At the heart of the Frank Nagler mysteries is the battle between them that’s got and them that ain’t. Detective Frank Nagler, and his faithful crew: Lauren Fox, Jimmy Dawson, Leonard, Del Williams and the community center kids, take on this battle. It’s about solving crimes, but also about trying to salve the wounds of the wounded and to fill holes left in hearts, especially Nagler’s. Perhaps an odd topic for a mystery series, but it provides a vast framework within which to explore evil and redemption. In “The Swamps of Jersey” the battle is between corrupt politicians who use death as a commodity of their corruption. In “A Game Called Dead,” it’s the fight between a megalomaniac Internet terrorist bent on revenge and those upon whom he seeks to level his revenge. In “The Weight of Living,” it’s a fight of a family to shed light on the terrible secrets that have enslaved them for decades. “This is a time of small men. Small thinkers, small doers, men of small ideas, constricted intellects paying tribute to ideas that were small when they originally surfaced and were rejected. Small men who think that nothing would ever change, small men who have beaten back the margins so that there are only two answers: Yes and No. Small verbalists who construct sentences that begin and end with the same thought, strings of words so tightly wound that a cry for help couldn’t escape. Small men who shrink as the problems grow larger. Small men who are never right because they are also never wrong. They descended on Ironton a week ago to see what was left behind when the flood passed through. Yes, it’s bad they said. Yes, indeed, people are still out of their homes, still living in schools, what a terrible thing. All we need is some money to get started again, the residents said. All we can offer is vague promises, the small men said. The problem, they said, is that you rely too much on the government to do everything for you. You need to be more self-reliant. Do more for yourself. It’ll make you feel better. You should be like me: I don’t need anything, the small men said. I have my truck and big screen TV, my three-bedroom house in the suburbs and a lawn tractor the size of a Volkswagen to cut my lawn. Where did these small men come from? We created them, fed them, and encouraged them with our undirected anger. Erected monuments to them because we needed an idol, something flashy to distract us while we sank into a collective stupor. We became blinded by our own self-satisfaction, and as soon as we did, they had us. Otherwise every middle class homeowner and job holder would be in the streets when teachers, librarians, clerks, street cleaners, public engineers, accountants, crossing guards and the occupiers of all those little jobs that hold our society together are attacked as greedy, tax-sucking bums. I’m an insurance adjustor, a car salesperson; I sell pizzas, run a local hardware store, a bodega. I’m a carpenter, a plumber. I’m an independent business owner. You aren’t talking about me. You’re talking about them. And while the little guys fight among themselves for scraps, the small minds who make the rules tilt them in their own favor again and again. The millionaires being ripped off by the billionaires. And everyone lost their homes. Guns don’t kill people; people kill people. Cigarettes don’t cause cancer. I’ve smoked my whole life and I didn’t develop cancer. Here, have one; take my pack. If a nuclear bomb is dropped, hide under your desk. Build a fort; build a shelter. Stock up on food and water. Buy an arsenal. Teach your kids to shoot. Build a fence. No one gets in. They’ll never get me. Hate sustains evil. But I’m not evil; I’m a magician, and you’ll believe anything I say or do. 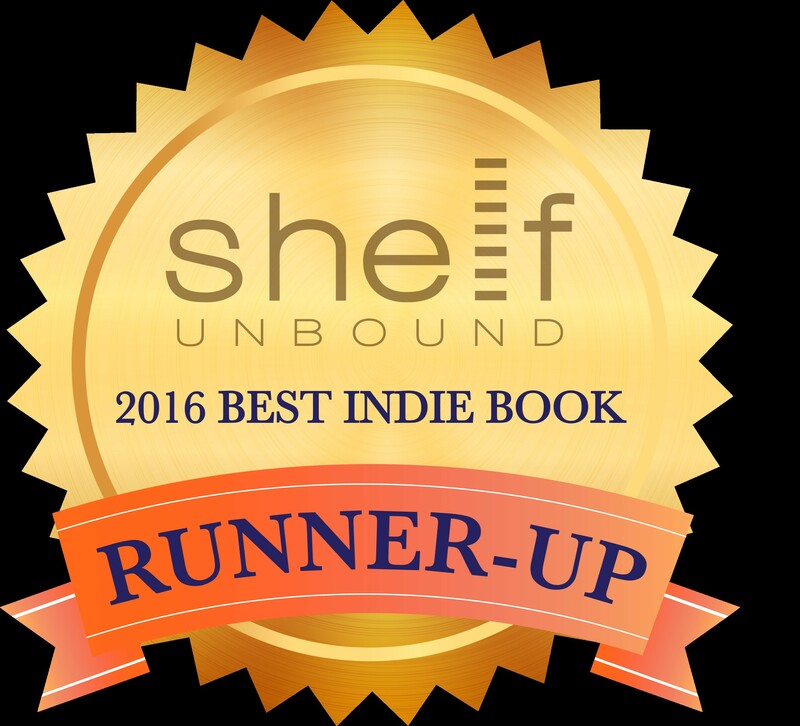 “A Game Called Dead” was a Runner-up in the 2016 Shelf Unbound Book Contest. 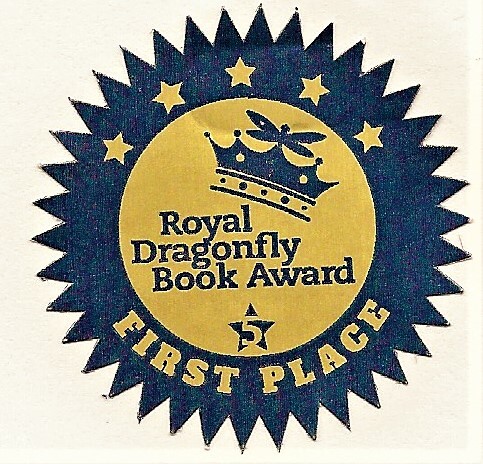 “The Weight of Living” was awarded First Place for mysteries in the 2017 Royal Dragonfly Book Contest. 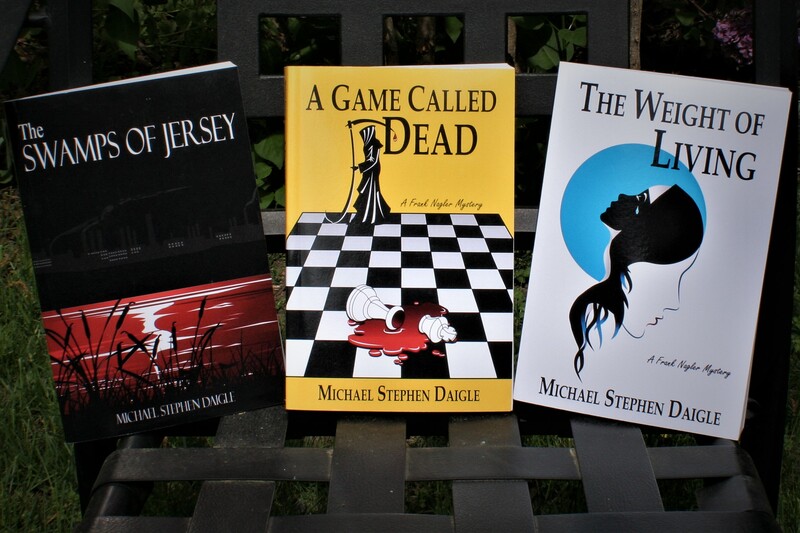 This entry was posted in BooksNJ2017, Fiction, Greater Lehigh Valley Writer's Group, Hot in Hunterdon; Georjean Trinkle, Imzadi Publishing LLC, Michael Stephen Daigle, Mystery Writers of America, Sally Ember, www.michaelstephendaigle.com and tagged "A Game Called Dead", "The Swamps of Jersey" Imzadi Publishing, "The Weight of Living", Anita Dugan-Moore., Fiction, Frank Nagler, Morris County, New Jersey. Bookmark the permalink.